A loan workout is any plan set up between a borrower and a lender to reinstate a delinquent loan. The lender agrees to change the terms of the loan, perhaps offering a forbearance period or extending the loan's lifetime, and in exchange the borrower resumes payments immediately. In a positive loan workout plan, both parties benefit. The trick is to convince a lender the plan is positive, and this requires some negotiation. The first step in rehabilitating your loan through a workout plan is explaining why your loan is delinquent in the first place. This typically means showing the lender you underwent a hardship that made paying your loan impossible for a short period of time. Examples of hardship include job loss or medical emergency. Hardship does not encompass bad financial decisions or irresponsible spending on your part. The lender will be unwilling to work with you if you appear to be at fault for the delinquency. Instead, explain the problem by pointing out a specific event that made it impossible for you to continue payments. The next step is to show the lender the hardship event no longer affects you. For example, if you cited job loss as your hardship, show the lender you have a new job and have replaced your income. Essentially, the lender wants to see you will be able to afford the new payment plan once it is put into place. This applies to not only short-term payment obligations but long-term commitment to the loan. If your new job is temporary, you may not convince the lender you are financially stable. Instead, it is best to show you have created a permanent solution to the best of your ability. Once you have shown the lender you can repay your loan and intend to do so, it is time to show the lender a plan that will make that possible. For example, if your previous loan payment was $1,700 each month over a 15 year time-fram, propose a loan payment of $1,100 over a 30-year time frame instead. You can afford this new payment, and the lender will get more money in the end. Even though the new loan will be more expensive to you, it will still be less expensive than going into foreclosure on a loan in most cases. If you cannot come up with a plan that is more beneficial than default, though, you should walk away from the workout plan. 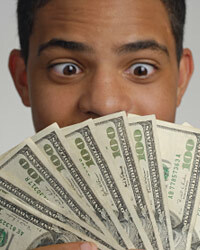 Finally, sweeten the deal for the lender by offering a large sum of cash immediately once the workout plan is in place. For example, offer to pay three months of delinquent bills immediately. No lender wants to walk away from quick cash. Use this as a bargaining chip to show you intend to make your payments and have corrected your finances to enable extra cash needed for your bills each month.